If this trend continues for another two weeks, the Garden State could tie a record for having its least snowy January since these types of records were kept — back in the winter of 1894-1895. So far this month, New Jersey has averaged a measly 0.2 inches of snow statewide, according to State Climatologist David Robinson at Rutgers University. Broken down by region, North Jersey has averaged 0.5 inches, Central Jersey has averaged 0.1 and South Jersey has averaged zero. If this keeps up, January 2016 would rival January 1934, when the statewide average was 0.2 inches of snow. Not far behind those virtually snowless months were 1995 (0.4 inches), 1913 (0.5 inches), 1950 (0.7 inches) and 1924 (0.8 inches), according to Robinson's snowfall data. Do we have any shot of snow any time soon? Well, after getting a batch of heavy rain Friday night into early Saturday, some snow could be heading our way on Sunday. But it's expected to be very light and confined primarily to the northwestern part of the state, said Rob Reale, a meteorologist at WeatherWorks in Hackettstown. "It's not going to be a widespread system, " Reale said, adding that the northwestern region could get a coating of snow and other parts of the state could see some flakes. 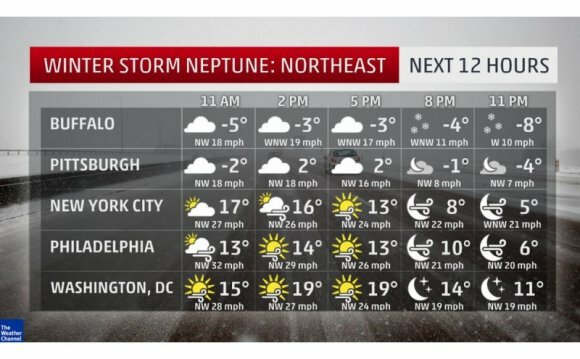 In its winter outlook when the season first started, WeatherWorks was expecting snow activity to increase in New Jersey in late January, as colder air moves in and remains in place. Reale still believes that could happen. "I think it will get more active, " he said Friday morning. "Maybe not in the next 10 days, but certainly after that." SHAKIRA! Live At Atlantic City, New Jersey PART 9! UNEDITED! SHAKIRA! Live At Atlantic City, New Jersey PART 10! UNEDITED! SHAKIRA! Live At Atlantic City, New Jersey PART 7! UNEDITED! Claude Thornhill (August 10, 1908 at Terre Haute, Indiana – July 1, 1965, New Jersey) was an American pianist, arranger, composer, and bandleader. He composed the jazz and pop standards "Snowfall" and "I Wish I Had You", the last recorded by Billie Holiday.